On Thursday, for the first time, a Pope addressed the United States Congress. And after that, he addressed a crowd that had been gathering all morning on the West Front of the Capitol. I’m delighted that so many came from all around the country to give the Holy Father a warm welcome. I’ve dreamed about this day for decades, about how great and grand a sight it would be. But it was — as it always is — the quiet, in-between moments that have stuck with me. The first was before we walked out on to the Speaker’s Balcony. This is a hallway I walk down every day to and from my office. But now, all the furniture had been cleared out, and there was tape on the floor where we each had to stand and wait. Up until that point, there was this palpable sense of restraint in the Capitol. You’re excited, you know it’s a big deal , but you have a job to do. Joint meetings of the House and Senate are parliamentary rituals with strict protocols dating back centuries. It felt a bit like Mass, actually. People filed in and greeted one another. They sat down and heard the message. Then they went forth. 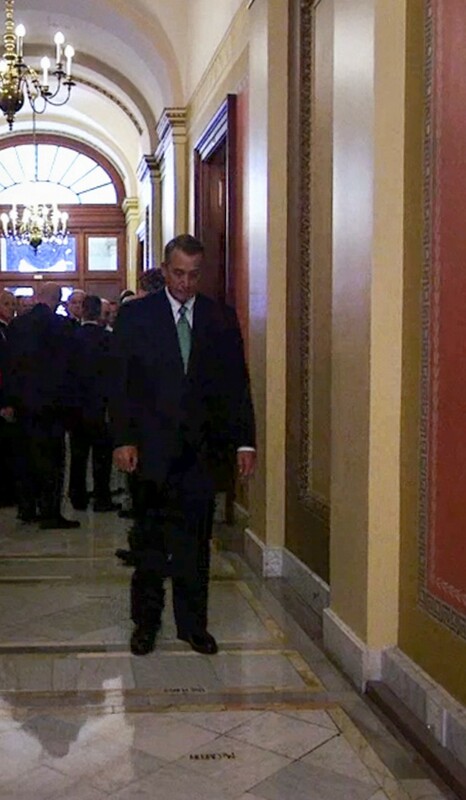 But in that hallway, you could just hear the crowd coming to life in anticipation. Then we walked out, and there was just wave upon wave of joy and affection. History sometimes comes and goes softly. But this was a freight train. If the Capitol could shake, it would have shook. 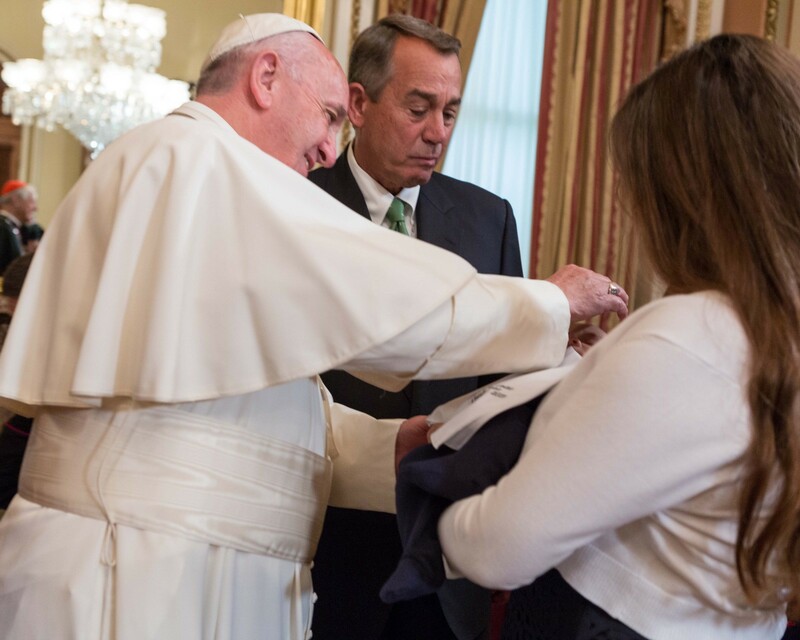 Another moment came after my one-on-one meeting with the Pope, when my daughter Lindsay brought my new grandson into the room. All the cardinals were there, it was quite tableau. The Pope gave the little guy a big smile and a nice blessing. What a way for Alistair to visit the Capitol for the first time. 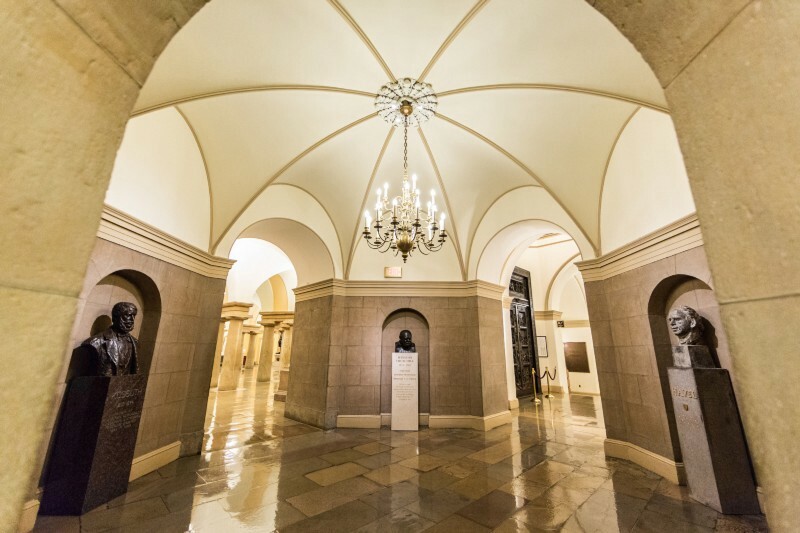 Lastly, by now you may have heard the story of the moment the Pope and I shared in the Capitol’s Freedom Foyer, where he gently grabbed my arm and quietly asked me to pray for him. Still can’t get over it. There’s an epilogue to the story: no one got a picture of it. That’s how private a moment it was. At first, I was disappointed to hear that. Now I’m beginning to think that maybe it’s a blessing in its own right. Some things are better as just memories.